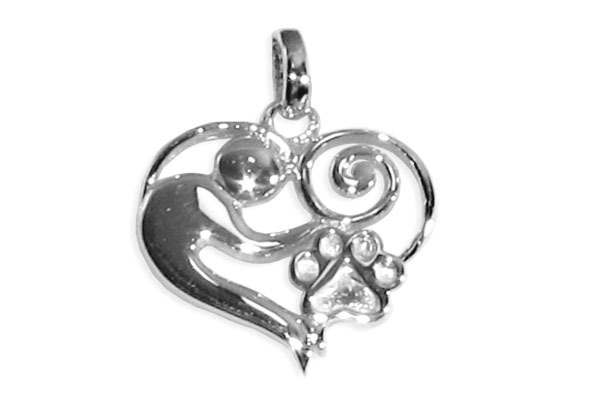 Our Mother & "Child" pendant is available in sterling silver, sterling silver w/a 14k gold paw as well as all in 14k gold. This Puppy Paw® can even be made into a Mother's Paw® that can hold 7 birthstone crystals. The sterling silver Mother & "Child" pendant comes with an/18" sterling silver chain. 14k yellow gold w/Mother & "Child" pendant. The 14k gold Mother & "Child" pendant does not come w/chain.